Oregon took a selfie on Tuesday afternoon and it unfortunately did not involve a cheerleader. Sorry to disappoint but evidently you can sell yourself for autographs but not your free tees. No the disappoint lay in the action of two projected starters for the Ducks who sold team apparel. Domninc Artis and Ben Carter did their best Terrell Pryor and Dana Altman did his worst Jim Tressel (didn’t lie, self-reported) and the University of Oregon had to be the centerpiece of NCAA compliance – again – during a week in which they’re doubly starring on ESPN. Between Thursday’s football game and Friday’s South Korea game, the Ducks are all over the worldwide leader. And this news ain’t helping. Certainly not on the heels of sanctions for the football team and certainly not on the heels of the Joseph Young news. The latter was reason for gross optimism surrounding UO hoops. Tuesday’s news, however, serves to dampen some of that excitement. But not too much. I love college basketball and one of the reasons I love it is because it allows teams to grow and develop. Get a little hot, a little cold, time your runs and that’s a season. But ask this very Duck program what one loss meant to their 2012 football season. Artis and Carter won’t play and my biggest concern for the Ducks isn’t that they’ll drop the Georgetown game or even a lesser non-conference game (the apparel sellers project to miss about 9 games). Those are all nice contests to win and Oregon would be expected to win with these two. No my concern isn’t on the wins or losses column so much as it is on the minutes played column for Carter. Here’s a guy many folks are very high on and are expecting big things from – his coach likely not withstanding – who played only a handful of minutes last season. He recorded just 10.4 minutes per contest with an introductory 13% usage rate. Ben Carter didn’t contribute a ton last year. 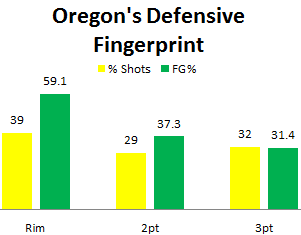 But we’ve been expecting him to significantly contribute to a revamped Duck front court (HI, MIKE MOSER) and the only way he’s going to improve is by recording more court time. To increase his usage and minutes played because that’s how you get better at things. 10,000 hours isn’t a joke and it isn’t achieved during self imposed suspensions. Oregon is going to weather this storm but perhaps at the cost of Ben Carter’s development. They’ll replace Artis with reigning Pac-12 Tournament MVP, Johnathan Loyd. How many teams can say that? But the effects of this suspension could have ripple effects as the games grow in magnitude after the calendar turns over into Pac-12 season. In his stead, the Duck front court will turn to guys like Waverly Austin and transfer Richard Amardi. True, they’re no more experienced than Carter, but he was the one projected to start and the one who many felt would solidify an already outstanding lineup.